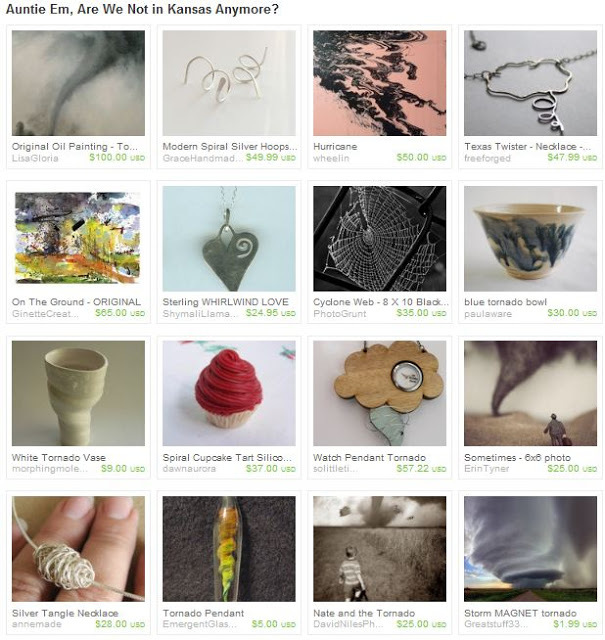 My Silver Tangle necklace featuring a tornado bead is featured along with other whirling, swirling items (including a cupcake!) in this Etsy treasury from windowfog. In the vastness of Etsy it warms my heart to be noticed. Thanks, windowfog! Love your string ornaments, especially the Be Still My [anatomically correct] Heart.